Free Shipping Included! 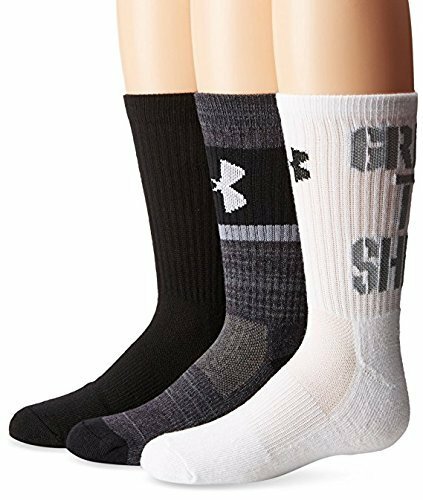 Under Armour Boy`s Next Statement 2.0 Crew Socks (Youth Medium, Never Quits (025) / White/Heather Grey/Grey) by Under Armour at Ultra Fitness Tech. MPN: 1292855. Hurry! Limited time offer. Offer valid only while supplies last. Built-in arch support, help reduce foot fatigue. Drainage system technology helps sweat away from the body. ArmorBlock Anti-taste technology helps to inhibit the growth of odor-like microorganisms. A set of three pairs. Material: polyester fiber, spandex, cotton, nylon.